The music that fills our world is something we can never get enough of. Sound communicates a lot, but music explains better.for Many times we sit down and listen to songs done in languages we do not even understand but we still dance along, or for the shy ones nod along. Music is one of those few intangible things gifted to our world today, that have the capacity to keep us beautifully chained in ecstasy. The Ndere Cultural Center, which is situated a few minutes from the Kampala city center; presents an experience about a musical country to Safaris and Tours adventurers, and this country is Uganda. The establishment seats on 9 acres (3.6 ha) of flowered and gardened land surrounded by a perimeter wall which actually keeps thieves out but fails at keeping the music imprisoned; because even from miles away, the sound of the African voices and instruments can be heard. Ndere gets her name from “endere” which translates to mean a flute, a beautifully sounding hollow instrument. This place is the perfect position to enjoy a dinner while on your holiday. At Ndere center Ugandan cultures are represented in a number of ways but principally and flawlessly through music and dance. The center offers its guests with performances done by its resident troupe of youthful and skillful dancers. Experiencing the entirety of Uganda’s gorgeous sounds no longer necessitates you to engage on a Safari and Tour so far from the capital city. Ndere presents dances like dingi-dingi, larakaraka and the royal bwola dance from Acholi Chiefdom in northern Uganda; Bakisimba a royal dance from the central kingdom of Buganda; Ekitaguriro from the western Ankole kingdom and the Runyege-Ntogoro dance of both the Bunyoro and Tooro kingdoms of western Uganda. Delicious meals are served on all days of the week featuring excellently prepared local and international cuisine. But the Wednesday, Friday and Sunday nights of your Tour and Safari in musical Uganda will even be more beautiful. 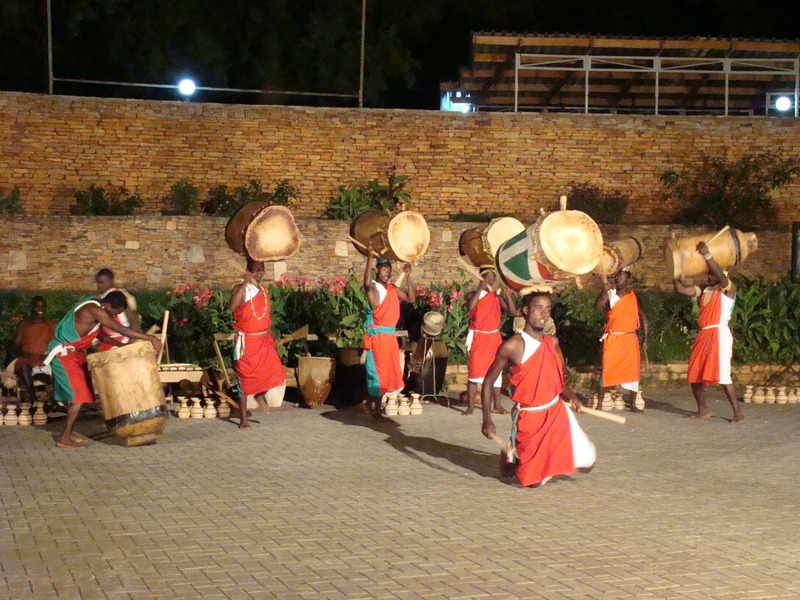 After your dinner you will be attracted to transfer to the Ndere amphitheater where the Ndere Cultural dancers perform at just 30,000/= (15$) for our international friends and 20,000/= for Ugandan citizens. The kids will only pay 15,000/=. You could also choose to spend a few nights of your Uganda tours and Safaris in Ndere’s guesthouse. And just experience a deeper feeling of the melodic echoes of life in Ndere’s perimeters. How nice it would be not to travel so far away from Kampala to experience the sweet feeling of Uganda’s true cultural diversity! Because like a silver plate, it is brought to you every time you go there. Ndere is indeed the home of Uganda’s cultures, and the perfect musical summary of a country in the heart of the African continent.